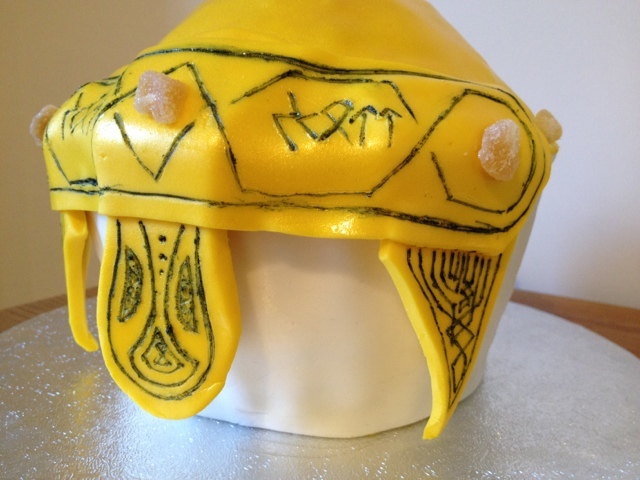 He wanted a Parkin cake in the shape of a gold Viking helmet. 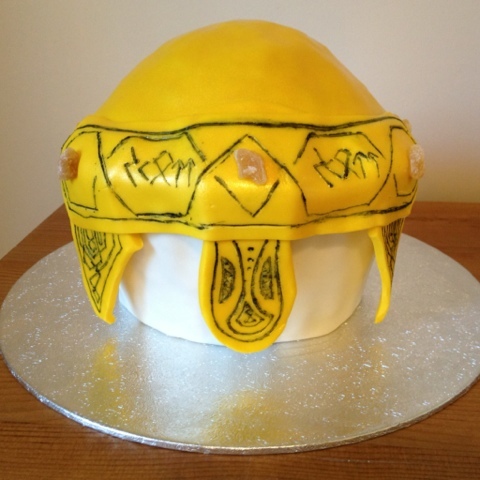 "Sure, I can do that..."
I managed to get something resembling a Viking helmet using my giant cupcake mould. It's a little fatter and rounder than the picture I was copying but I'd have to trim loads off to be able to make it skinnier and that would be a waste of cake! It turned out alright. My fondant marker pen was a bit scratchy so the runes and scrollwork could have been better. 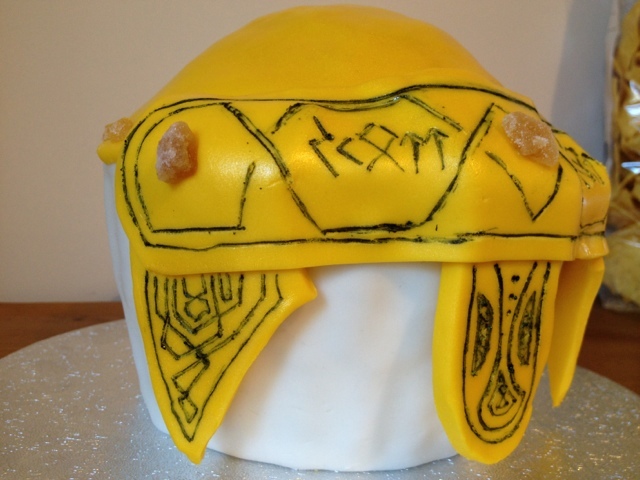 I tried to give it a gold shine by using some edible gold spray paint but it just made the yellow fondant a bit glittery. Will have to experiment with the spray a bit more. If there was room for improvement with the decoration, I was very pleased with the cake itself. I was worried about doing such a thick piece of Parkin, thinking it would be too moist and soggy but it turned out solid enough to support the icing and light enough to taste good. It even held up to me carving it to smooth off the top rather than having it cupcake-icing-shape from the mould. Fairly happy with the cake overall but it makes me want to take a proper decorating course. It was already on my to do list but I think it will get bumped up higher now.